I love skillet desserts. 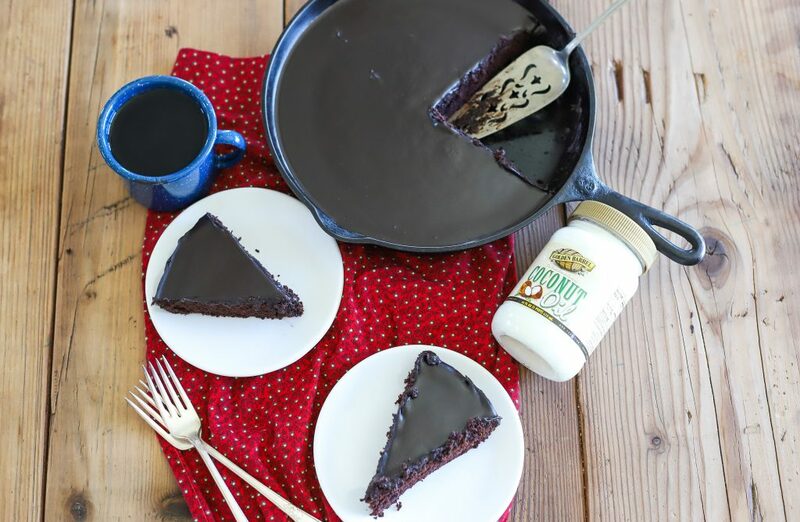 There’s just something rustic and homey about serving up something sweet in a cast iron skillet. Reminds me of simpler times, I suppose. Plus, it’s easy and non-fussy. 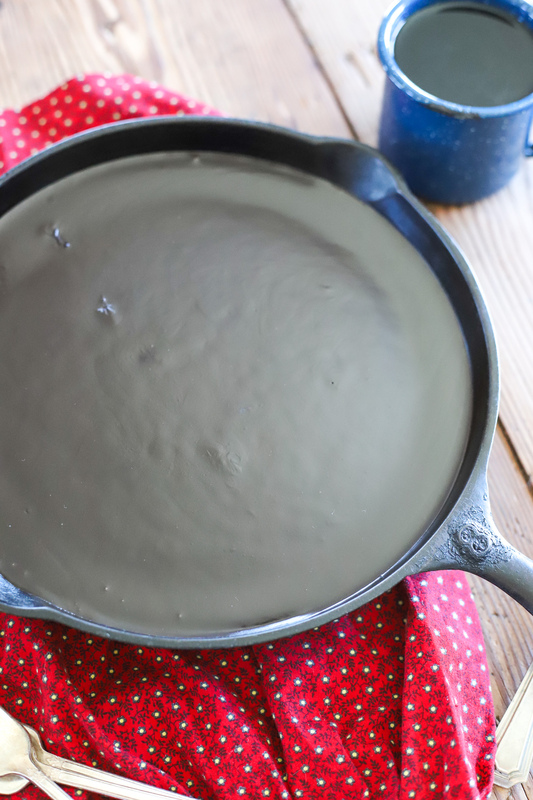 If you don’t yet have a cast iron skillet in your kitchen, maybe this cake will convince you to get one. You can often times find them at thrift or antique stores (that’s my favorite way–because they’re already seasoned). Or you can buy them new pretty much anywhere–from a hardware store to a speciality kitchen store–everyone uses them! 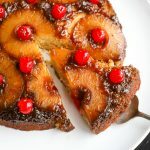 The cake part is similar to this wacky cake recipe I made a little while ago. 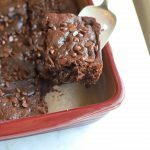 But instead of a cup of water, I used a cup of coffee in this recipe. Coffee and chocolate go hand-in-hand, with coffee really enhancing the chocolate flavor. 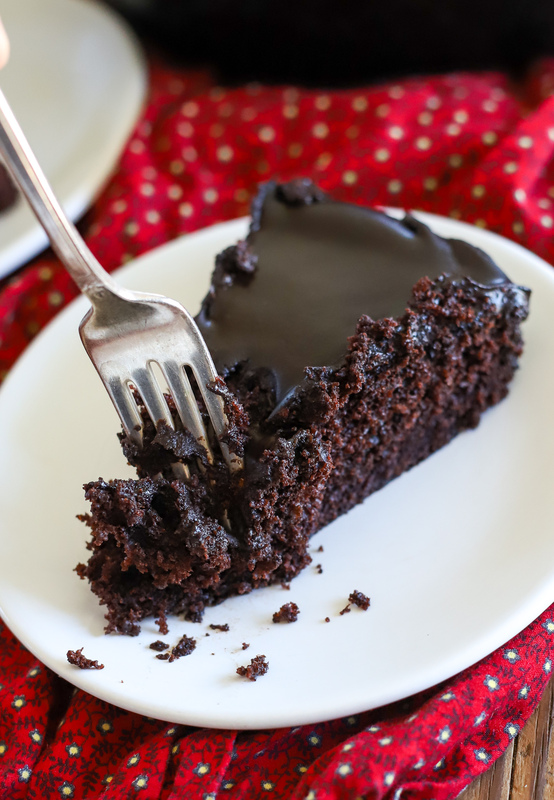 You can’t even taste the coffee in this cake…it simply makes the chocolate stand out. 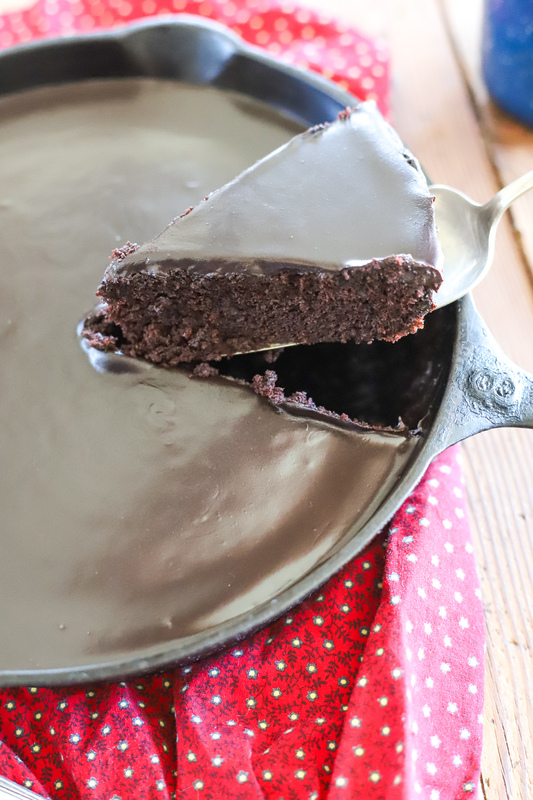 And let’s talk about that ganache icing on top. I love ganache. 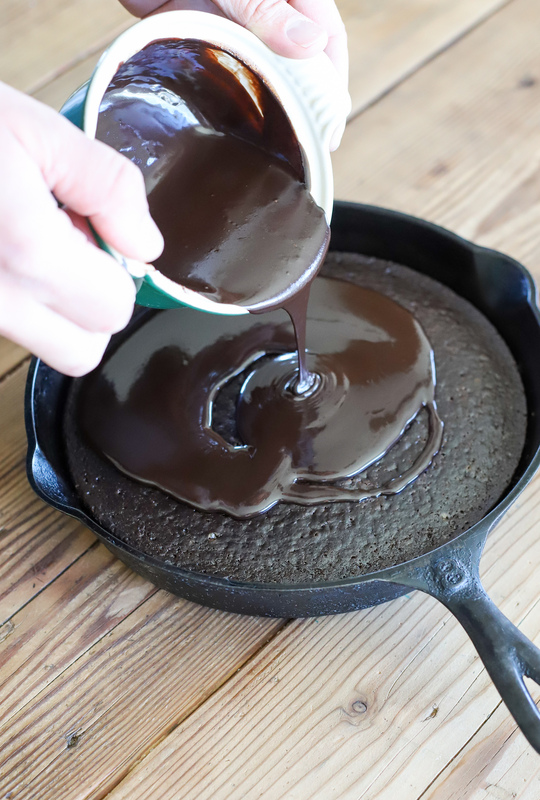 And my favorite way to eat it is when it’s cooled and forms a fudgy consistency. 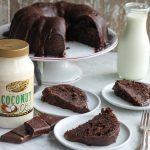 It really is the perfect compliment to a simple chocolate cake. 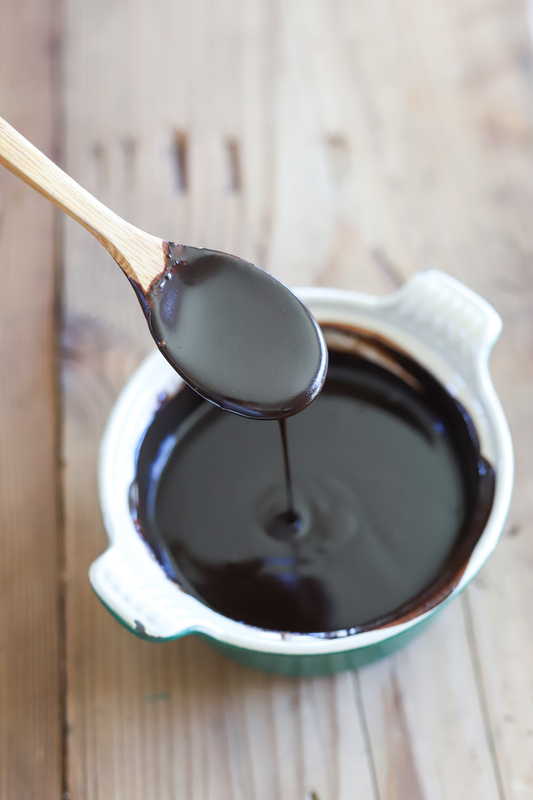 How do you make ganache? So glad you asked. 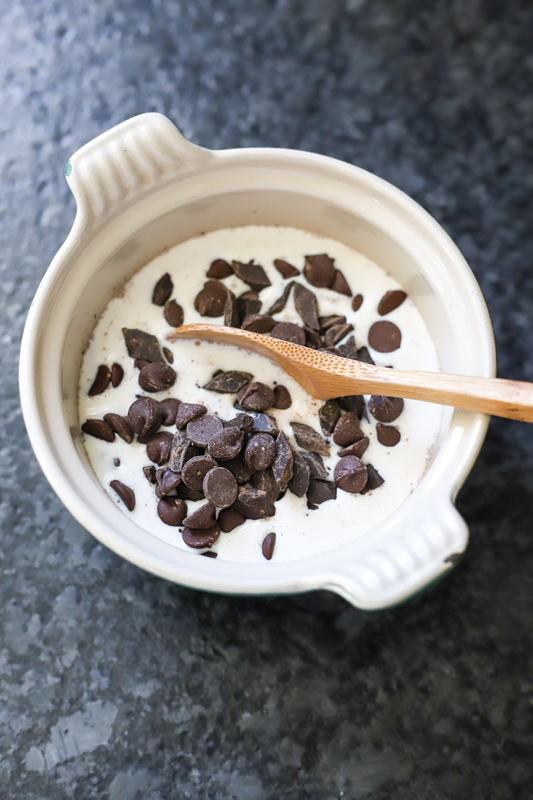 The way I do it is I heat either heavy whipping cream or half and half in a bowl, then once that’s good and hot, pour it over the chocolate chips and just wait. Let it sit for about 10 minutes, then stir. The chocolate melts as it’s exposed to the warm cream. It’s quite soothing stirring the mix and then you suddenly have a liquid chocolate on your hands. 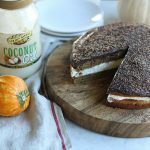 We enjoyed this cake with some vanilla ice cream–it was our treat over the weekend. But like I said, I think you deserve some for yourself in the middle of this week. 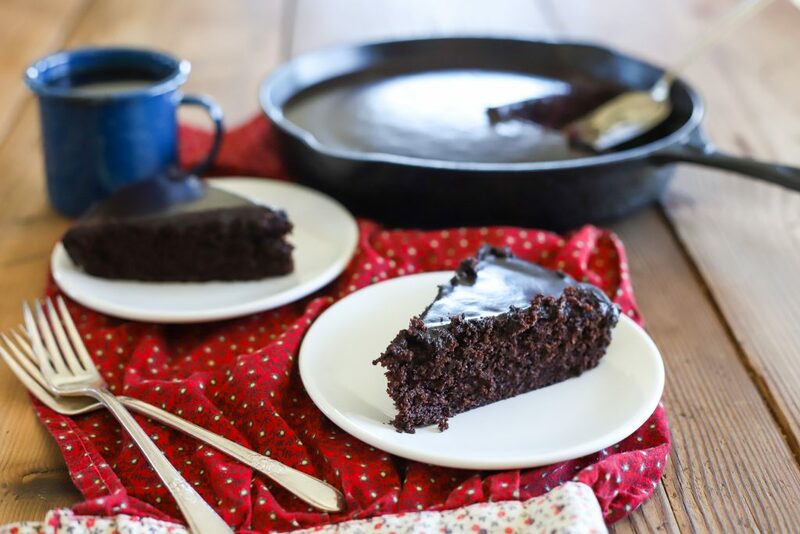 🙂 Perfect with a cup of coffee, this chocolate fudge cake is a favorite of both kids and adults alike. Make some today! 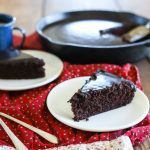 Deliciously moist and full of chocolate--both in the cake and with that fudgy topping--you can't get much better than this chocolate fudge skillet cake! 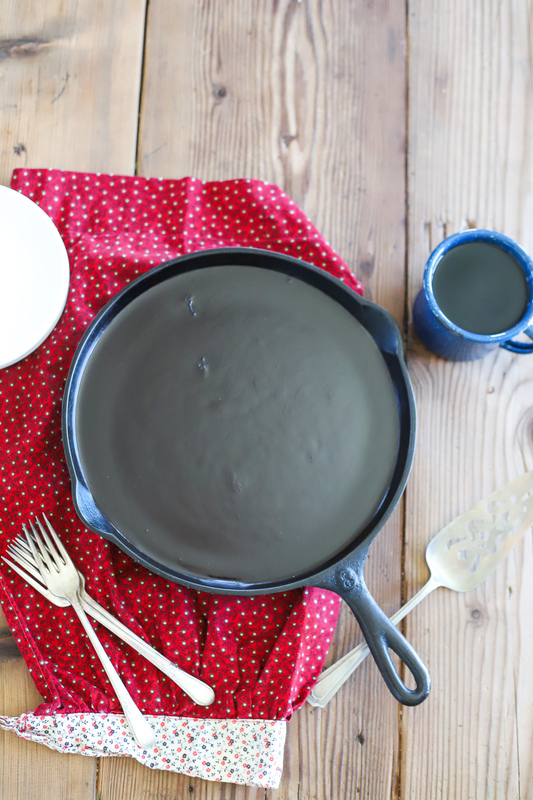 Preheat oven to 350 degrees F. Lightly grease an 8" skillet with Golden Barrel coconut oil.